Over at Genea-Musings there's an ancestors' surname Christmas tree, the idea came from Ancestors Live Here. Rather than use ancestors' surnames, I've created one for my extended family. I used Tagxedo for the tree shape and fonts, added just first names of siblings, our children, nephews, nieces and their partners and children. The baubles were added in MS Word and the screen clipping tool did the rest. While browsing through an historic newspaper on Trove, I found this advertisement for new book titles to be published in time for Christmas 1913. During the forthcoming Christmas book season, Messrs. Ward, Lock & Co. announce that they will publish the following:-(1) "Norah of Billabong," by Mary Grant Bruce, author of "A Little Bush Maid," etc. ; (2) "Stairways to the Stars", by Lilian Turner, author of "Three New Chum Girls," etc. ; (3) "The Childhood of Helen," by Evelyn Goode (Mrs. Crawford Vaughan), a companion story to "Days that Speak" ; (4 ) "With Beating Wings," by Vera Dwyer (of Sydney-her first book); and (5) "Maori Land Fairy Tales," by Edith Howes (of New Zealand) author of "'The Sun's Babies," etc. The Billabong series by Mary Grant Bruce were favourite titles of mine in younger years. Norah of Billabong was the third title in a series of 15. The titles are listed in sequence here on Goodreads. I wonder if the books on many Christmas lists this year, will still be available to read in another hundred years time. Owning an original iPad has been fun, stimulating and has provided endless opportunities for learning and communicating over the past 3 years. Sadly now I have more than 60 apps crying out for updates but many updates only cause it to crash. So many great ideas have been implemented in the form of apps for mobile devices and now I delight when some of those app makers recognise that their tool is also useful for desktop and notebook users. Recently both Haikudeck and Snapguide have made their excellent products available via the desktop. Thank you developers, now I'm empowered once more. Modern cameras and phones are capable of producing high resolution images which result in large file sizes. Images attached to gmail retain their original size. Whilst gmail generously allow attachments up to 5 mb this is a burden for the both the sender and receiver and can quickly use up one's allocated storage quota. Inserting images into the body of the message instead of sending an image as an attachment, provides a quick method for reducing the image size. 1. Click the "Compose Mail" button or reply. 2. Locate the image you want to include from your computer. 3. Drag the image and drop it into the body of your Gmail message window. You must add the image to the message body; if you use attach file, you will not be able to reduce the image size. 4. Click the image in the email message body to select it. Underneath the image you get to choose small, medium, large or original. Now where was that huge image I needed to send? eMagazines - Borrow or buy? Subscription models for emagazines range from the confusing to the simply outrageous which double up the price from the print subscription. Some magazines offer the digital version of their product free when the print version is purchased, others offer stand alone apps with a wide variety of models in between. Some subscriptions open in apps, some in web browsers. 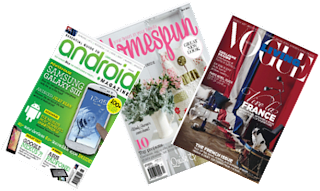 A search for emagazines reveals a wealth of sites offering to publish your work as a magazine but also points to agencies for online subscriptions which are often subscription options for print versions of magazines. When our local library recently supplied access to more than 360 magazines through Zinio I was keen to explore this new option. Could this supply the ideal option? The sign up process requires both a library card and a Zinio account. Zinio provides a generic guide to guide users through this process. Free access to hundreds of magazines - read those not usually available in your local store. 3. Enter your library card number and validate. Now you will need to set up a free Zinio account by entering your email address and a password. Follow the link in the welcome email you receive. You are now ready to start browsing. Choose a magazine and a new tab in the browser will open which will contain your reading list. You can return to the other tab to add more magazines. b. Install the Zinio app on your phone or tablet and login with your Zinio account details to read the magazines on your portable device. ALWAYS browse and select magazines through your browser – Internet Explorer, Chrome, Safari, Firefox etc. not through an app on your phone or tablet. On subsequent visits to the emagazines just enter your email address and the Zinio password you chose – no need to put in your library card number again. One of my favourite magazines, Delicious, is not available through the library collection so I looked to purchase it online. I had downloaded the free app with the option of subscribing from within the app when I decided to check out the option for subscribing from Zinio. Results - In app purchase $24.99 for 6 months, Zinio purchase $19.99 for 6 month - buyer beware! What options do you find most useful for reading your favourite magazines? Check out your local libray to see if they have an online collection of emagazines for you to browse and borrow. There is a wonderful collection of tools for the traveller available online. Here are some of the multipurpose and specialist sites for planning and organising your travel. Find out how to make your own free travel guide to access offline throughout your trip. Learn about apps for a wide range of mobile devices designed to enhance your travel and for managing your data and photos while travelling. View a range of methods for preserving the memories upon your return home. This presentation was prepared for a Friends of Noosa Library event held on 17th April in the Noosa branch of the Sunshine Coast Libraries. More sites are being added daily Follow Travel apps and tips to keep up to date with the latest offerings. Related posts: Making Readlists Use a Readlist to compile all those pages you want to take with you. Which of your favourite travel tools have I omitted? Today I posed a question on Twitter asking how to take a screenshot in Windows 8. 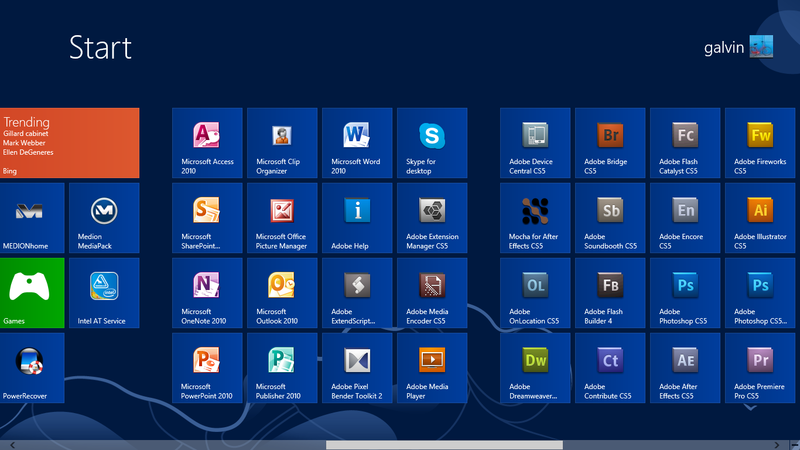 I was specifically looking to take screen shots of the tiles on my non touch laptop. The only suggestion was the Snipping Tool and while this is easy enough in the Desktop side it was on the Tiles/Apps side that I was having difficulty. The solution is actually in the Help Menu but it is a more complicated process than using the Snipping tool on the Desktop side. Find the Snipping Tool through Search and pin it to the Start Menu and/or the taskbar on the Desktop side for easy access. 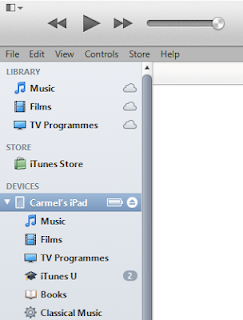 Open it, Alt Tab to required screen of Apps then Ctrl PrtSc to make it appear on the Apps side. This is the same method one would use to get a clipping of a Drop down menu in any program. Now I'm searching for a tool like Awesome Screenshot that works with Windows 8 so that I can annotate the images without having to use a two step process. Any suggestions? The inclusion of a short video clip in any presentation can lighten the mood, bring emphasis to or illustrate a point and certainly provides for variety from the presenter's voice. When using video in presentations it is important to remember to seek the owner's permission to use it and to include any copyright information attached to the video. Here's the simplest method I have found for ssaving and using short video clips. A range of apps can perform this function on a mobile device but this is a simple method that uses Tube downloader and Dropbox to get the video from the web to your presentation in a few easy steps. The app is available for iPhones, iPads and Androids. It downloads video from a wide range of sites including YouTube, Vimeo, and Flixxy. If you can play a video in a web browser, this app will enable you to download it. There is both a free and paid version. 2. 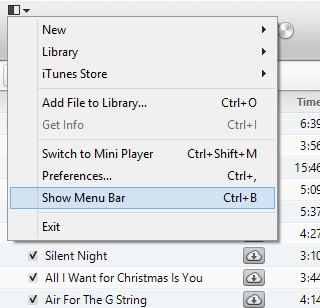 Select play and then choose download from the pop-up menu. If this is not enabled, select save to cache. 3. When video is finished locate it in either the Files or Cache menu depending on your previous choice..
4. 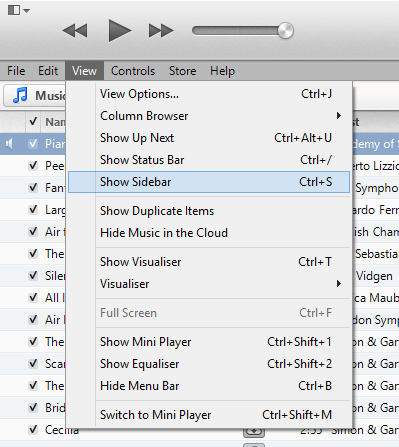 Choose Open in Dropbox, this will save the file to your folder of choice. 5. From presentation interface choose Insert Video from file, get it from your Dropbox, adjust size and you're done. Easy! Remember to delete the video from your Dropbox once inserted into your presentation. The Readlists site provides a quick and easy method for preparing an ebook from web articles for offline reading. Login to Readlists and simply add the URL of each of the articles you wish to compile into an ebook. Add a title and description and you are ready to download the ebook directly to your device or embed on your website or blog. The Readlists can also be publicly shared enabling multiple editors to add to or amend any individual list. 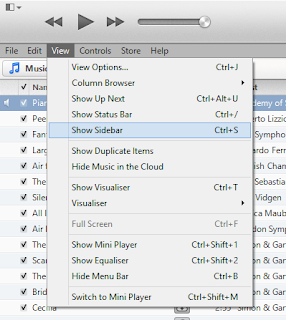 The range of export options makes this a very useful tool for all platforms. 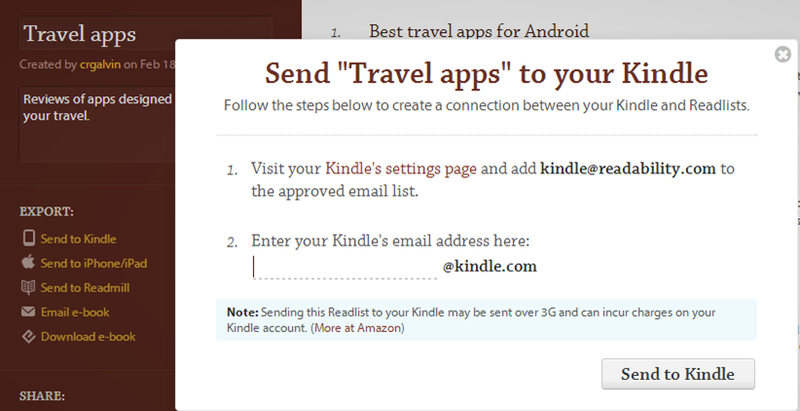 Simple online instructions guide the user through the Send to Kindle option.The contents page displays the title of each article allowing the user to move quickly to the desired reading. Individual articles which incorporate images are reproduced in full. The normal Kindle functions of increasing text size, creating notes, finding definitions and following links are all enabled. The ePub version presents in full colour and with full functionality but disturbingly displays the Readlist compiler at the top of each page as if they were the author. Full links are still provided to the individual articles but individual authors are not listed as they appear in the original Readlist. 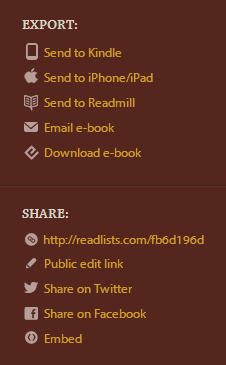 Readlists are a great method for sharing a range of links for reading on any device. Our local library like so many other libraries has many identities and roles. Excellent services are provided to the housebound by a group of dedicated volunteers and library staff provide a variety of training for a range of technology tools, to name but two of the myriad of services provided. The local area has many retirees with time to travel and the library has graciously provided the venue for me to present a session on Tech for Travel. The session will cover a wide range of tools available to the traveller in planning their journey, mobile apps to use while on the road and preservation of holiday memories. Here is a short screencast on how to make an ebook from Wikivoyage. Next up, preparing a Readlist book for travel purposes. Which other web tools are you using for making ebooks?